Markov kinetic models were used to synthesize a complete description of synaptic transmission, including opening of voltage-dependent channels in the presynaptic terminal, release of neurotransmitter, gating of postsynaptic receptors, and activation of second-messenger systems. These kinetic schemes provide a more general framework for modeling ion channels than the Hodgkin-Huxley formalism, supporting a continuous spectrum of descriptions ranging from the very simple and computationally efficient to the highly complex and biophysically precise. Examples are given of simple kinetic schemes based on fits to experimental data that capture the essential properties of voltage-gated, synaptic and neuromodulatory currents. The Markov formalism allows the dynamics of ionic currents to be considered naturally in the larger context of biochemical signal transduction. 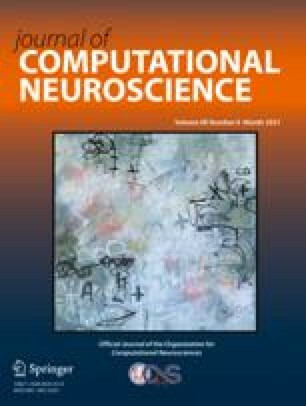 This framework can facilitate the integration of a wide range of experimental data and promote consistent theoretical analysis of neural mechanisms from molecular interactions to network computations.